WEBS’s recent discounts and closeouts on sock yarn also proved too much for me to resist. 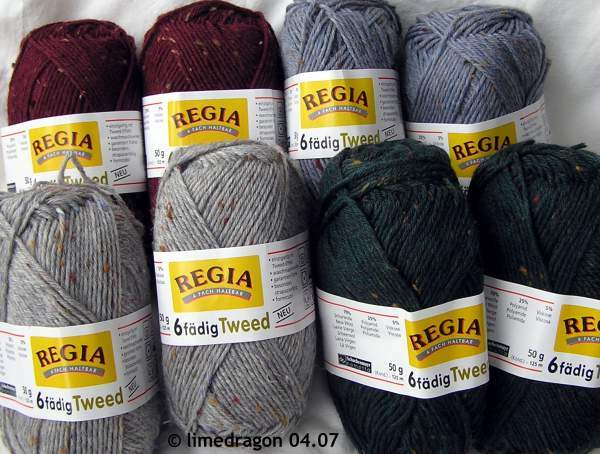 I got some lovely 6-ply tweeds. And two gender-neutral Jacquard colorways. I’m in love with the red ragg and am thinking of using it with one of Cookie A’s patterns. The red/purple on the right is my current love-hate. Sometimes I want to get rid of it, other times I think the stripes are a lot of fun. 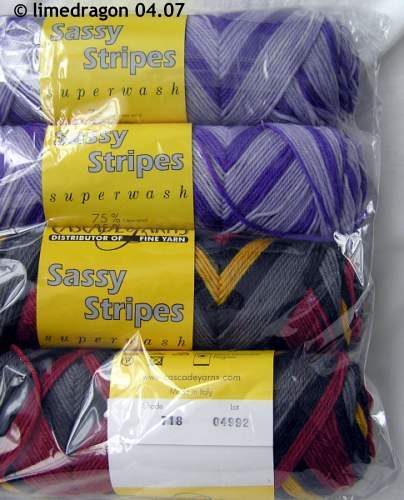 I also picked up these little 25g skeins from an eBay auction. 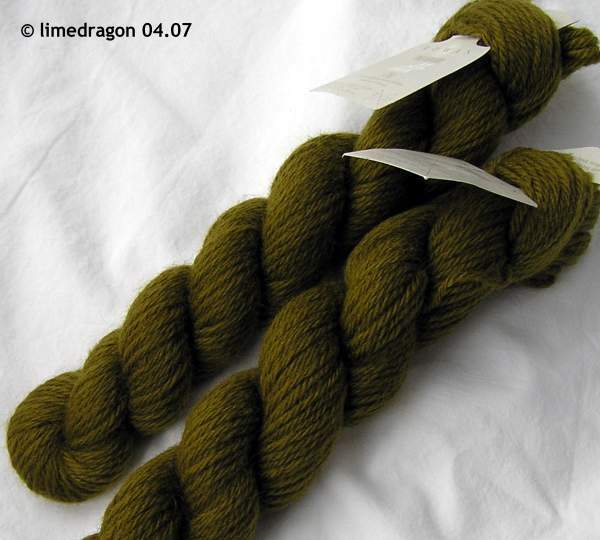 And er… um… I still await two more skeins. I ordered the Cherry Blossom when Sundara had a special run of this popular color. I also donated to All Things Heather’s recent fundraiser. My plan is to knit socks for donation with the yarn she sends. Webs! I managed to resist that particular temptation, although I have to admit to having several things in my basket when I decided to pass. It would be abnormal not to buy too much yarn. You really could not call yourself a knitter that way. How could you resist??? You got some very cool stuff. Oh no, I completely forgotten about the WEBS sale. And yes, perfectly normal! In fact, I think I’m off to indulge that perfectly normal behavior right now. That yarn you picked up on EBay is particularly gorgeous! Seems normal to me, besides you got some nice yarn. I like the red ragg and the red and purple. I almost bought some yarn from the Web sale and then changed my mind. I love all of the yarn you purchased. The Cascade is really fun looking – I will have to hunt that down! What great purchases :) Sales are a good enough excuse!